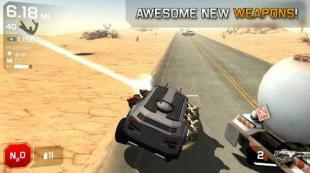 Zombie highway 2 - drive around the deserted highways in a world after the zombie apocalypse. Try to fight of hordes of bloodthirsty monsters. 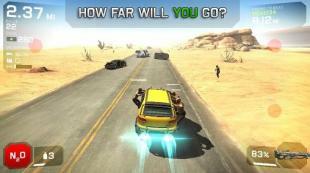 Drive a powerful and well-armed car along dangerous roads in this Android game. Avoid obstacles and collisions on the road. 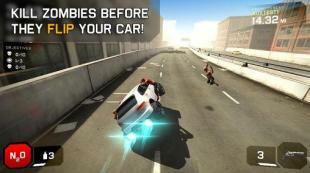 Destroy zombies as you go by shooting them from weapons mounted on the car or ram them at high speed. Be careful don't let the zombies jump onto your car. Speed up to pass dangerous areas quickly. Arcade, car simulator, racing and adventure in one game! One car and the road! """Leap racing"" official landing Android platform! Once the classic arcade game, let us go back to experience!